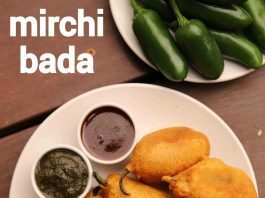 mirchi bada recipe | mirchi vada | how to make rajasthani mirchi bada with detailed photo and video recipe. a popular rajasthani street food recipe made with bhavnagiri or green chili jalapeno and chickpea flour batter. it is very similar to the south indian mirchi bajji but made with slightly smaller and bulky chilli. typically it is known as street food, but it can be an ideal evening snack food or as an appetizer for any occasions. 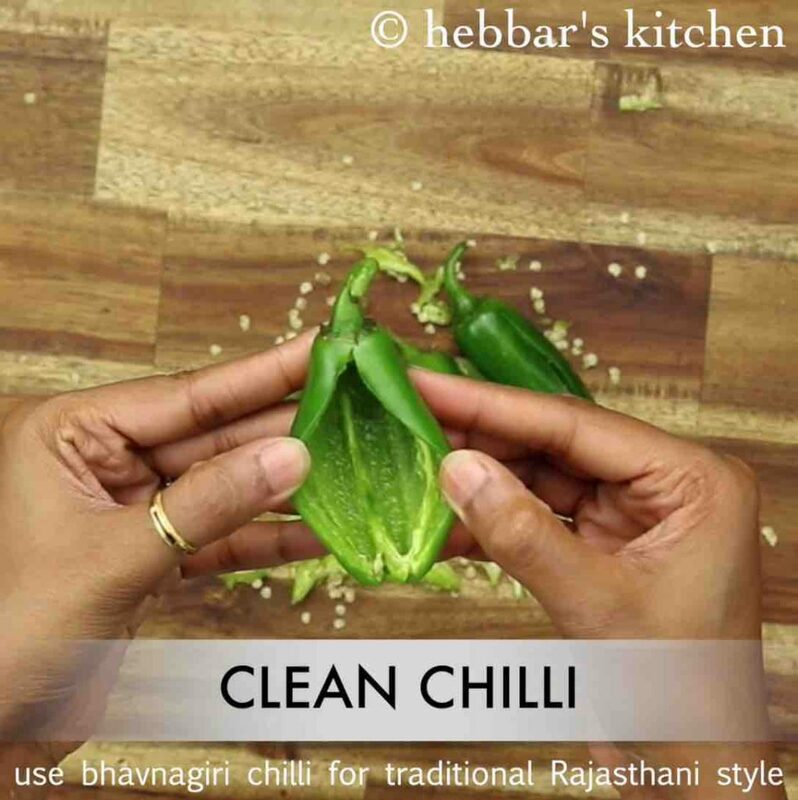 mirchi bada recipe | mirchi vada | how to make rajasthani mirchi bada with step by step photo and video recipe. deep fried fritters are an integral part of indian cuisine and can be made with almost all vegetables. green chillies or jalapeno fritters are common across india and has many regional flavours and variations. one such hugely popular variation is michi bada from the rajasthani cuisine or rajasthani street food. 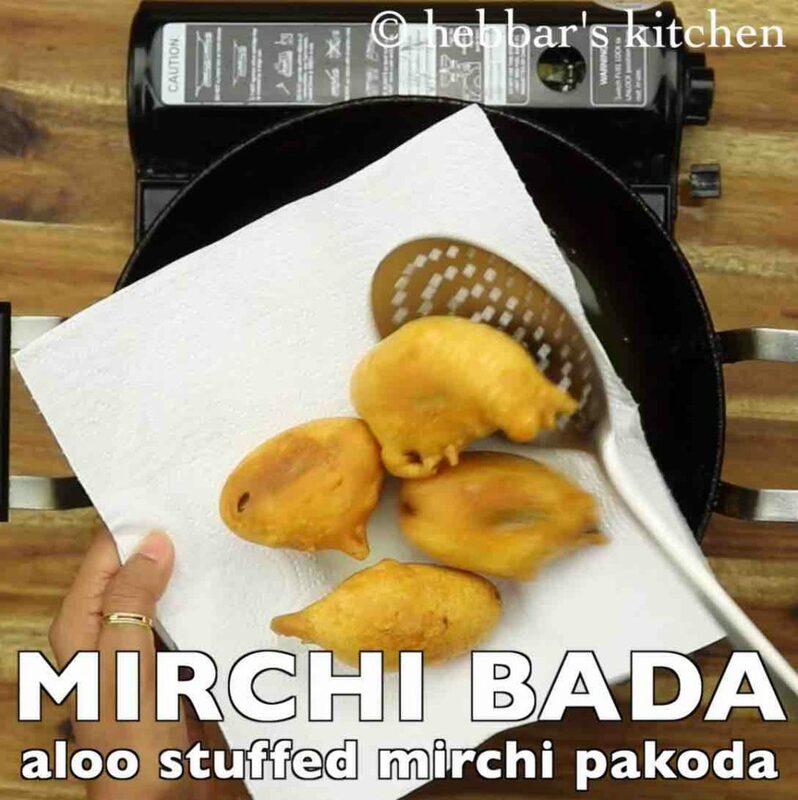 as i mentioned previously the mirchi bada is similar to the mirchi bajji recipe, yet there are myriad differences. firstly, and most importantly the bhavnagiri green chilli or jalapeno is totally different. 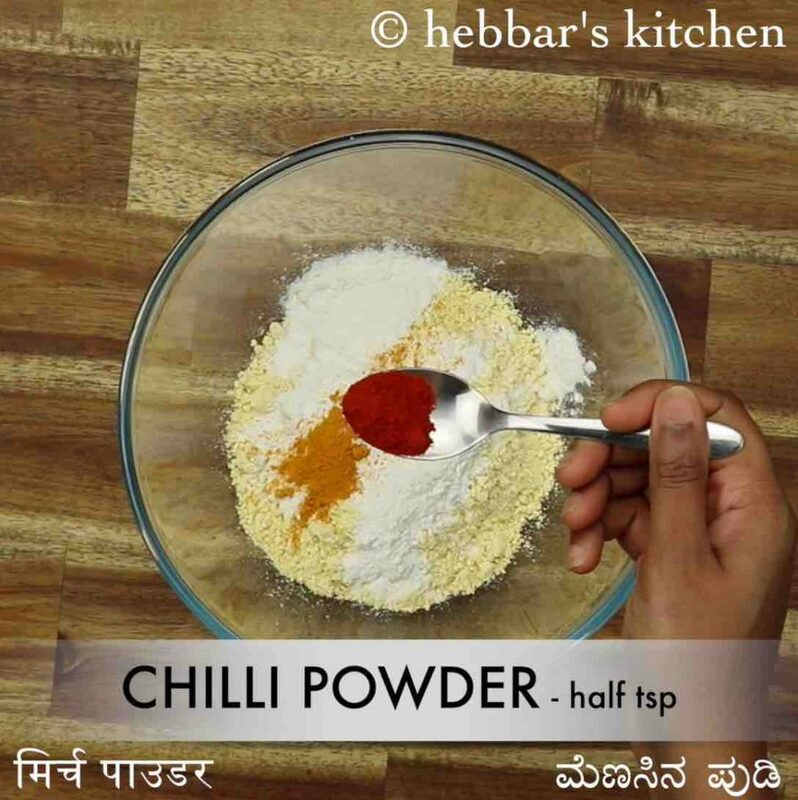 basically, the size of the chili is smaller and denser as compared to the south indian counterpart. in addition to it, the smaller chilli is more spicy or hot compared to the bigger chilli. hence the rajasthani mirchi vada is spicier compared to most of chilli fritters. 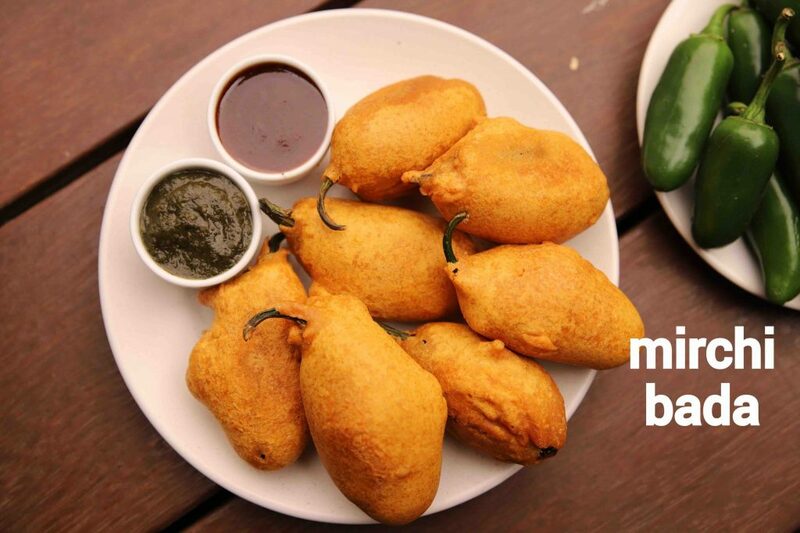 secondly, the mirchi vada has a spiced and mashed potato stuffing which makes it unique and also more flavorful. 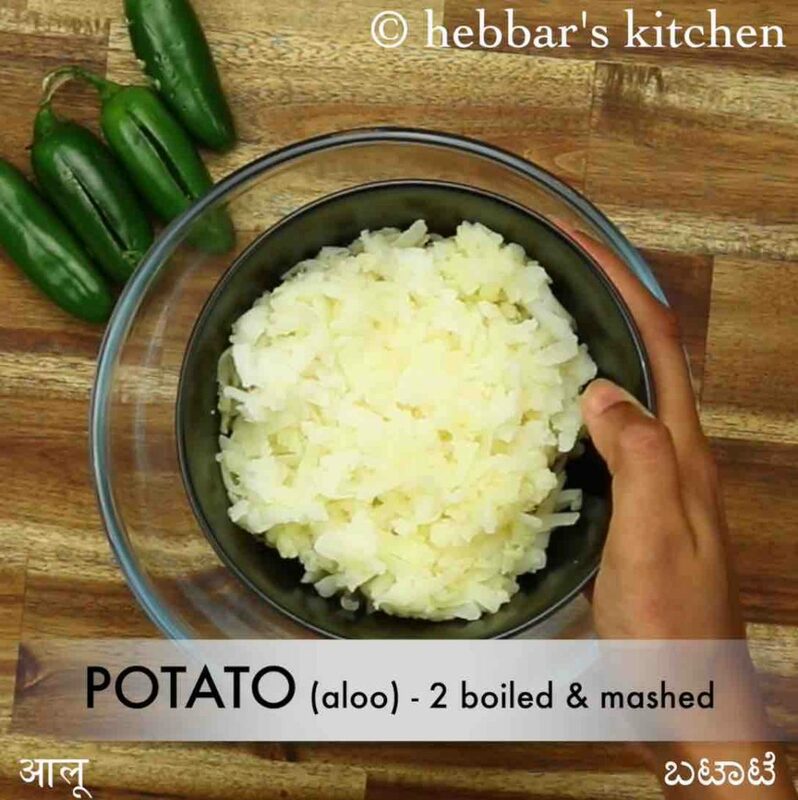 adding mashed potato not only just reduces the spice level, but it also makes it more filling and tasty. 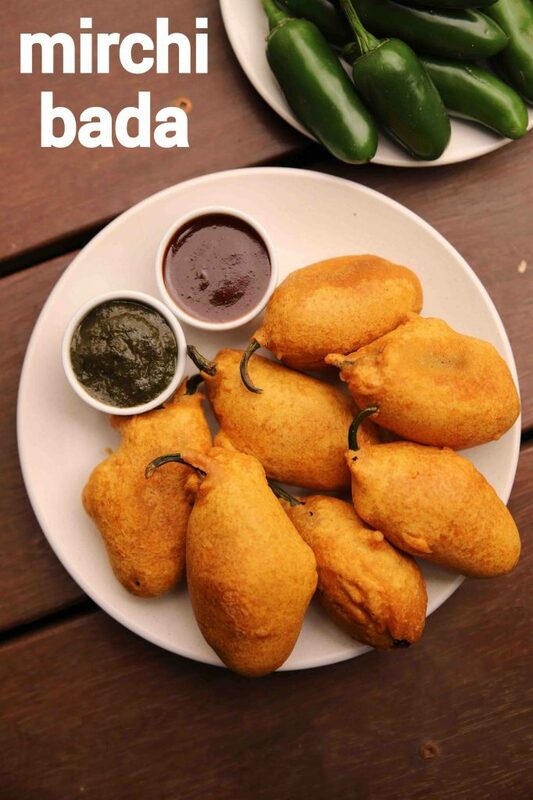 i personally like my mirchi bajji stuffed with filling and i typically add paneer, aloo or even feta cheese. 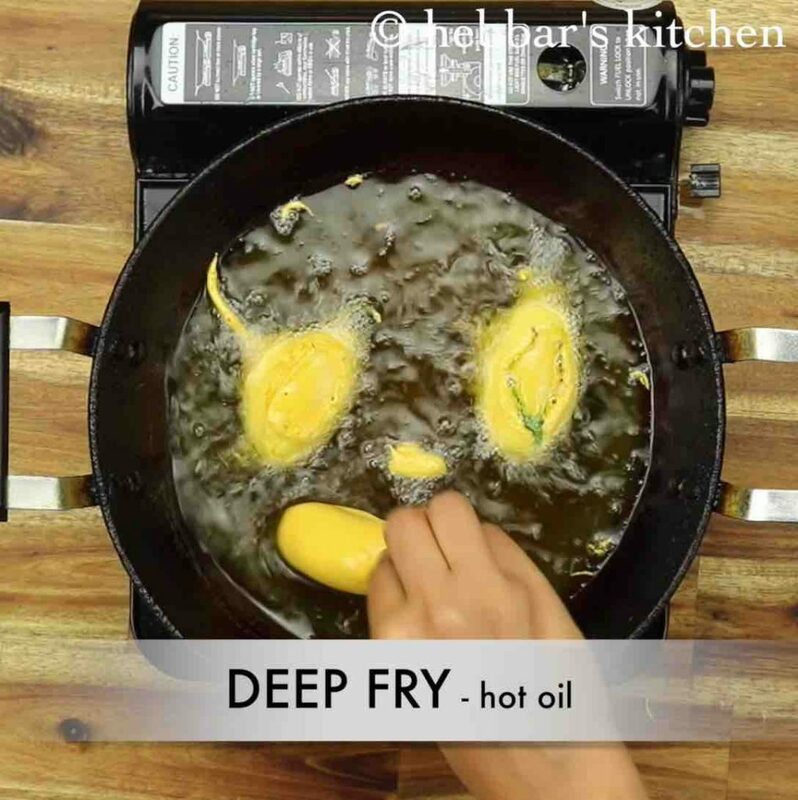 furthermore, some easy and important tips and suggestions while making these deep frying mirchi bada recipe. firstly, i have de-seeded the green chilli before stuffing with mashed potatoes and coating with chickpea batter. but if you prefer to have spicy mirch vada, you can skip the de-seeding part or adjust it as per your taste. secondly, i have added baking soda to the chickpea flour to make it fluffy. but this is optional and you can skip it if you are not comfortable with it. lastly, deep fry these in a medium to low flame to cook it evenly. moreover, you may have to deep fry these as baking and shallow fry is not an option. in a large mixing bowl take 2 boiled and mashed potato. 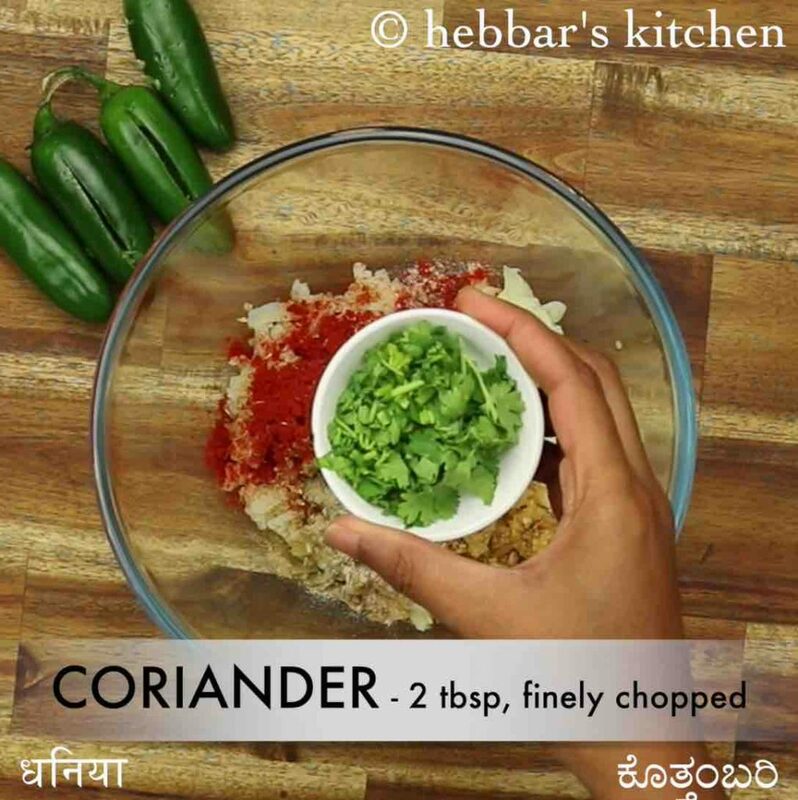 also add 1 tsp coriander seeds, ½ tsp fennel seeds, 1 chilli, ½ tsp ginger paste, ¾ tsp chilli powder, ½ tsp chaat masala, ½ tsp aamchur, ¼ tsp ajwain, pinch hing, 2 tbsp coriander and ½ tsp salt. combine well making sure all the spices are combined well. further stuff the prepared aloo masala into the chilli. 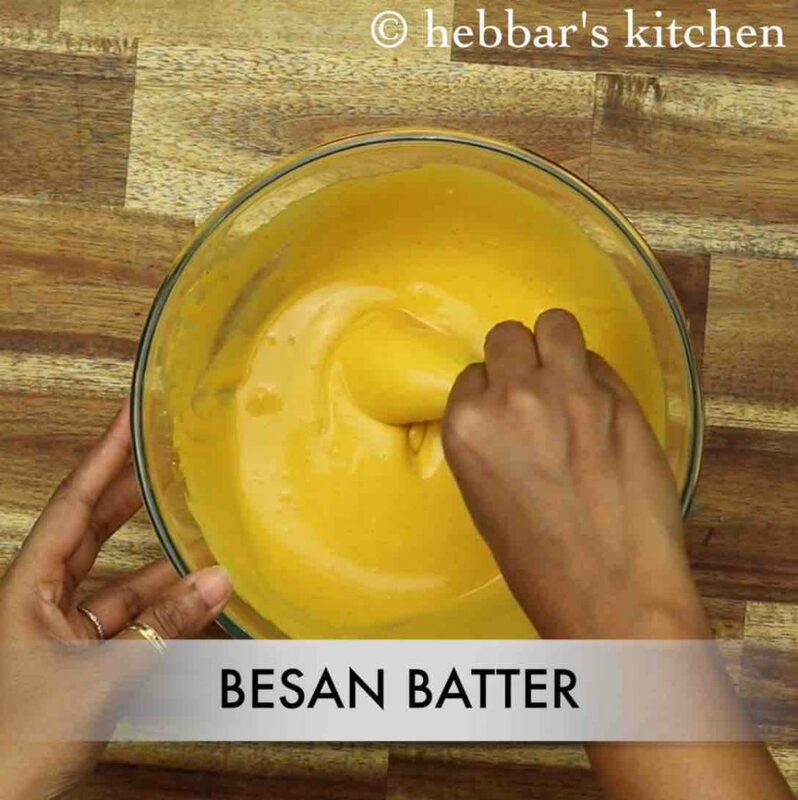 now dip the stuffed mirchi into besan batter and coat completely. stir occasionally, until the bajji turns golden and crisp. drain off the mirchi bajji over kitchen paper to remove excess oil. finally, enjoy mirchi bada recipe with green chutney and tamarind chutney. 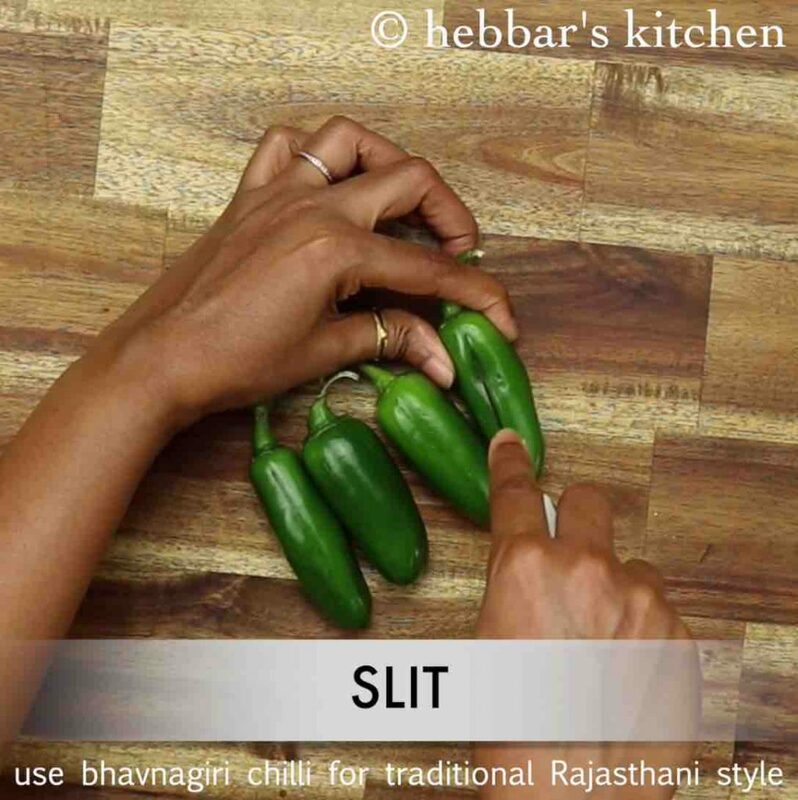 firstly, slit the chilli (use thick chillies like bhavnagiri / jalapeno). using the back of the spoon, scoop out the seeds and keep aside. 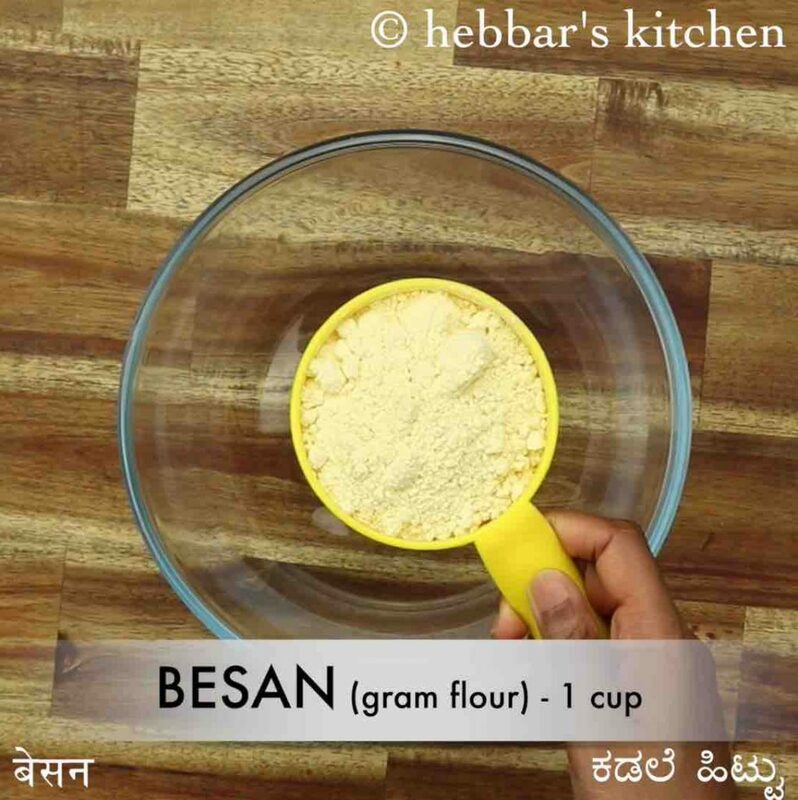 prepare the besan batter by taking 1 cup besan and 2 tbsp rice flour. also add ¼ tsp turmeric, ½ tsp chilli powder, pinch hing, ¼ tsp baking soda and ½ tsp salt. 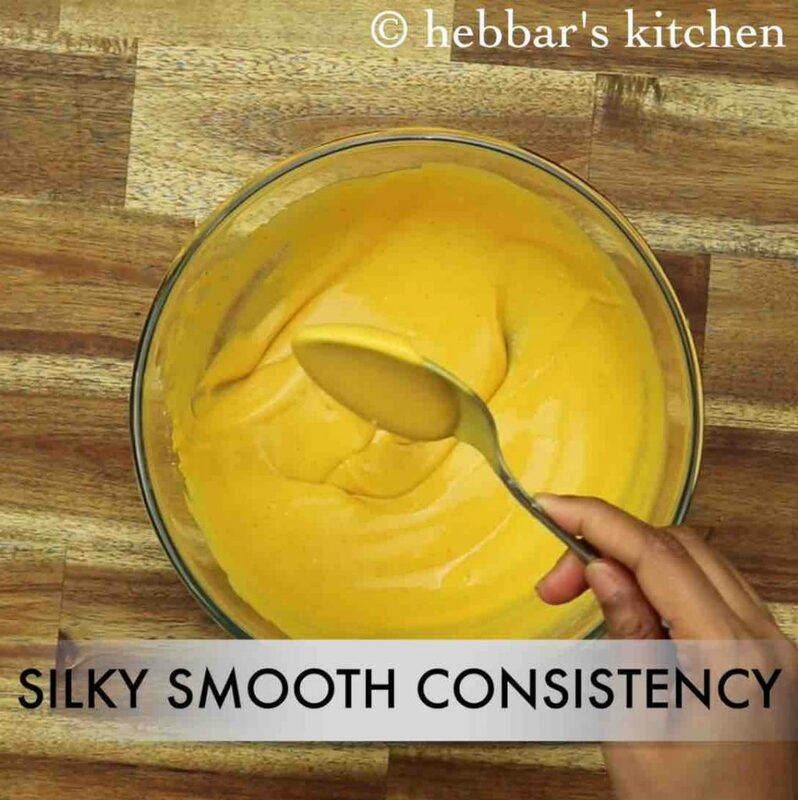 prepare a smooth lump free batter by adding ½ cup water. 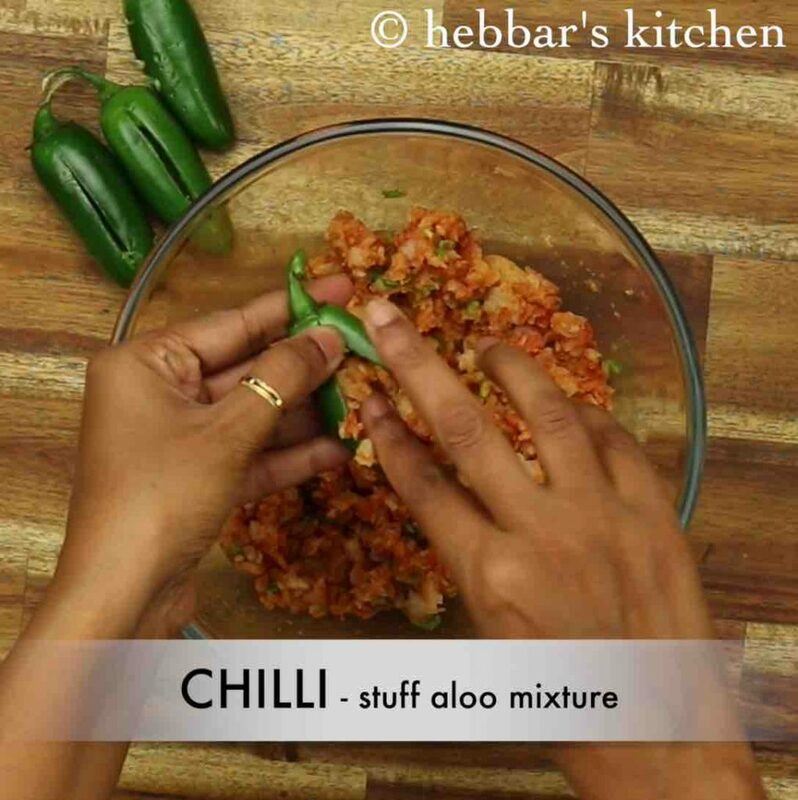 firstly, use fat chillis as there will be good space to stuff in aloo masala. 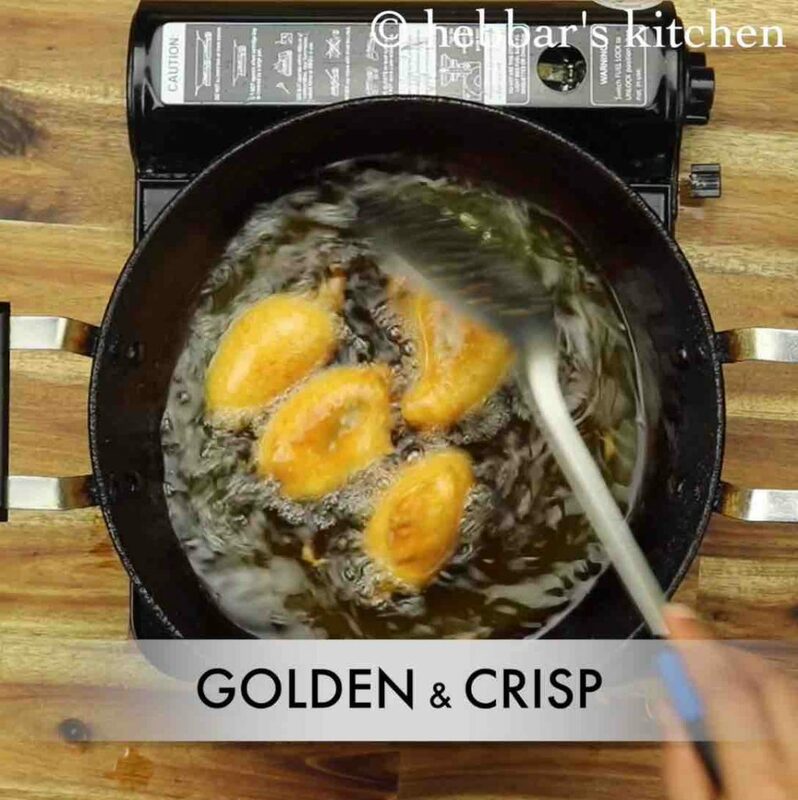 also, adding rice flour to besan batter helps to get crispy pakoda. additionally, fry the bajji in hot oil keeping the flame on medium to cook uniformly. 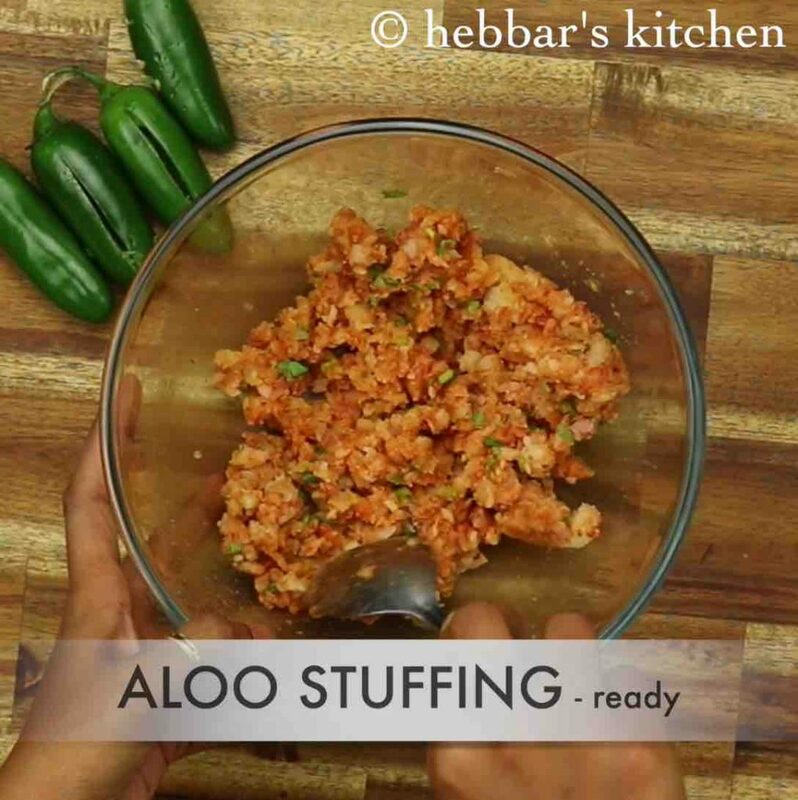 finally, mirchi bada recipe can also be prepared with cauliflower stuffing.